Seagulls tear at the rubbish left outside flats on Castlegate. The co-leader of the local authority has confirmed that workers will begin attempts to drive down numbers within weeks as the birds typically become more hostile in spring. Jenny Laing said that, despite previous efforts to tackle the problem, the “gull issue” is one which continues to pose difficulties for people in the city centre. She said: “We will try to reduce the gull population, but that is not easy when there are only certain things you can do. “Last year, we started removing nests and towards the end of this month, and the start of May, we will be doing that again. “The feedback we have had for this has been universally positive, which is not a term we use very often. Ms Laing told a recent meeting of Aberdeen City Centre Community Council that the work will be carried out alongside Aberdeen Inspired. The project follows years of complaints about the birds – which regularly swoop on unsuspecting residents and steal their food, or menace them into parting with snacks. In 2015, the authority issued a “survivors guide” with tips on how to live at ease with the creatures. 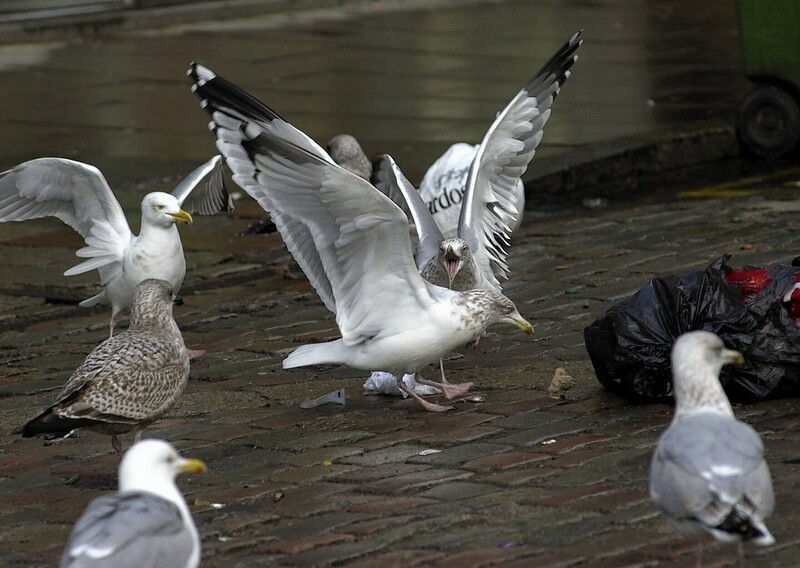 People were discouraged from feeding them, or dropping scraps of food, because the “next step” is the gulls “attacking people and stealing food”. It added: “Due to the discarding of unwanted food and also people deliberately feeding them, life for the birds within the town has become easy. “Gulls are clever and can learn from each other.